For blind or visually impaired people, a voice reader app for difficult to read print can be invaluable when navigating a city. Turn-by-turn directions to the nearest restroom, or calling for personal assistance once in a building may be extremely helpful. Great news! There’s an app for that. Enter VOICEYE. This free, downloadable app makes accessing information and navigating unknown areas easier than ever, and the information is accessible . VOICEYE data is stored at the bottom of documents (similar appearance to a QR code). 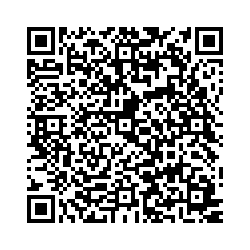 And, with 10 times the capacity of QR codes, 1.4 square centimeters can be encoded with up to 1000 bytes of data. 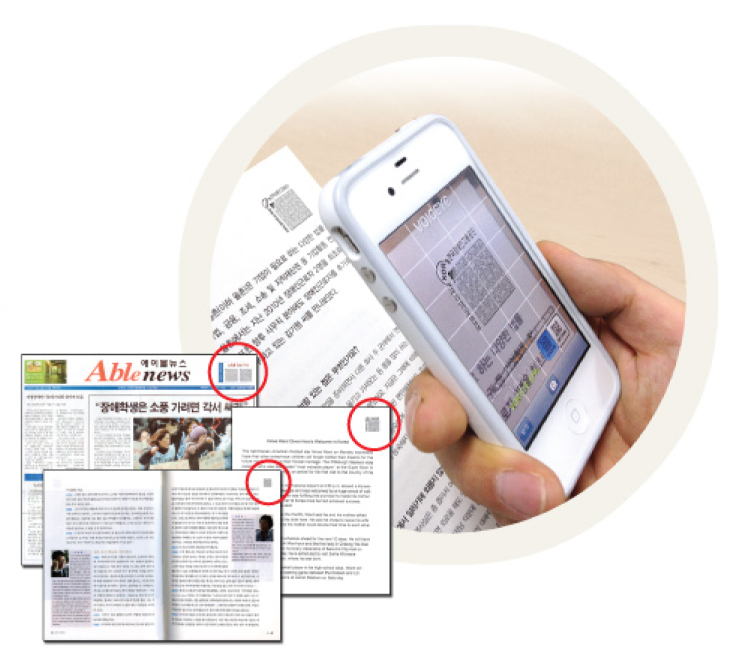 VOICEYE data being scanned by the app to read printed text to user. 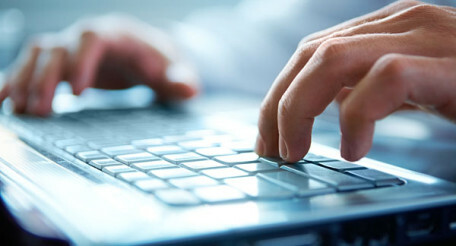 In their disability discrimination acts and disabled person welfare laws, the Korean government requires VOICEYE codes on government documents and any signs distributed to the public. As a result, VOICEYE codes have been adopted across the country, with some universities, magazines and newspapers also jumping on the technology. 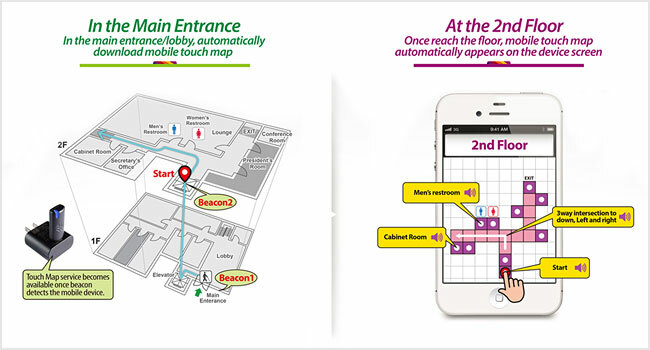 Users can also navigate to and within buildings. Once inside, users can access features that lead them to restrooms, info desks, etc., and can send a signal to the Office or Building Manager should they require assistance. Since VOICEYE is so popular in Korea, many buildings are equipped with this option. A map of the main and second floor of a building equipped for use with VOICEYE. You can check out the app by downloading it in the App Store or Android Market, or see it in action by clicking here. If you know of any recent breakthroughs or innovations making life more accessible for the blind or vision impaired, let us know in the comments. It could be the next feature in Discovered Technologies!